Morgan Back and Co, a firm of Incorporated Accountants, was founded in 1935 after the dissolution of John R Woodley, Morgan and Co. 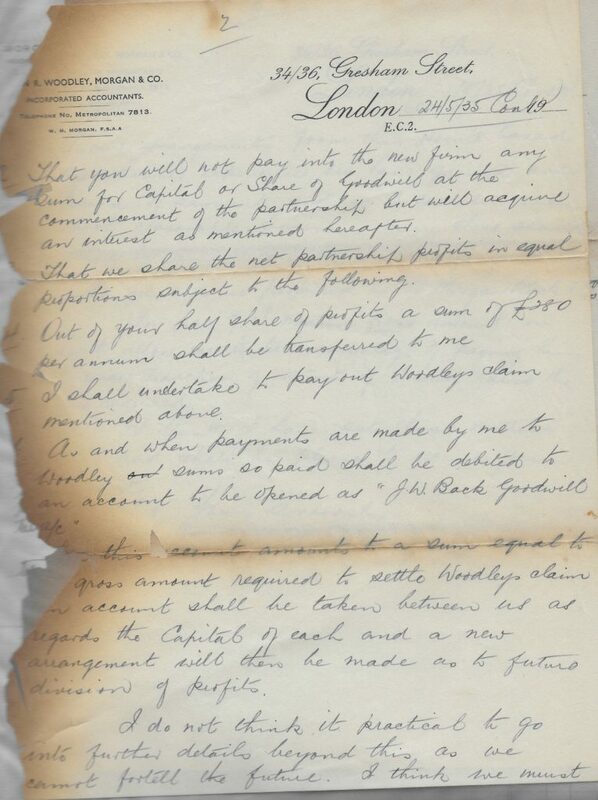 The draft letter of agreement between William Henry Morgan and William John Back has survived. 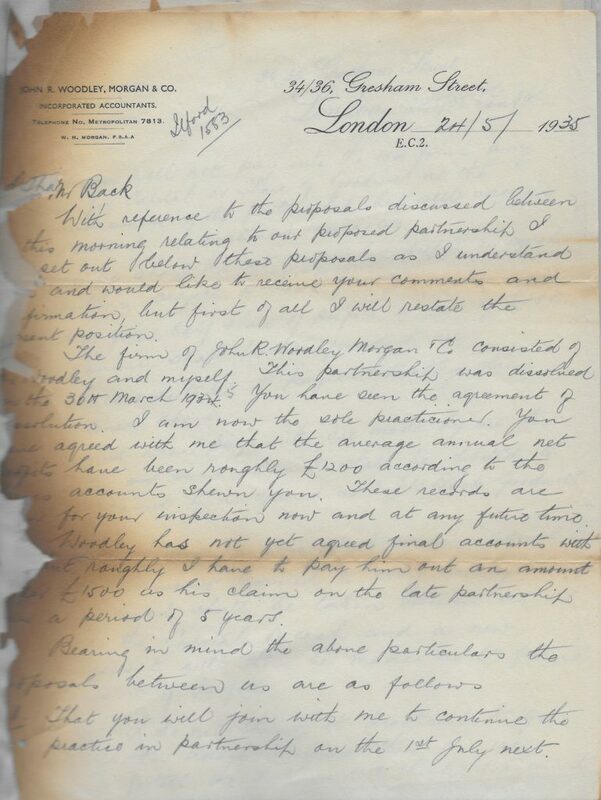 This document was held in the offices of 34-36 Gresham Street when the building was blitzed in about 1941. Despite the burnt fringes it has been kept and is still legible. Under William Morgan’s son Donald Morgan the company further evolved into Morgan Brown and Haynes in about 1970 and after his retirement to Morgan Brown and Spofforth in 1990. It was subsequently subsumed into Vantis plc that itself was broken up in 2010. 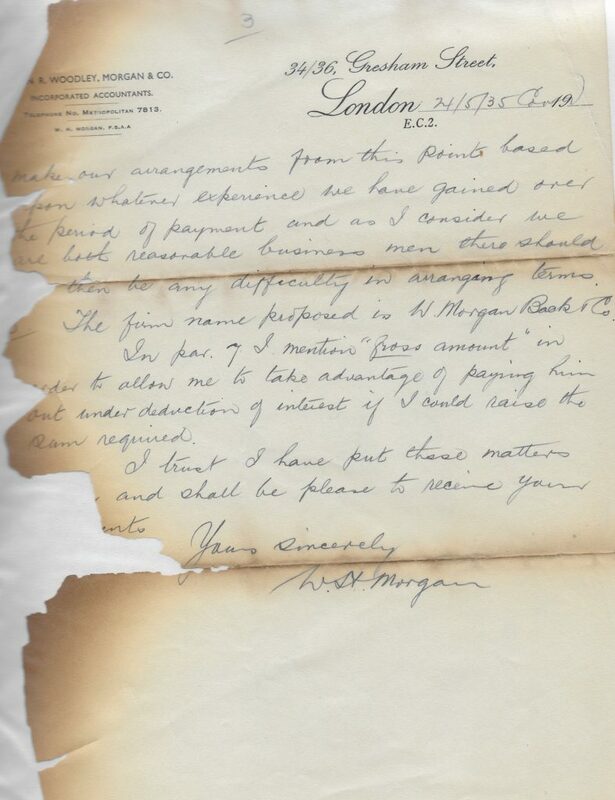 The Morgan name appears to continue to be used in two of the successor companies. The company had a number of longstanding clients from the 1930’s or earlier, which had multi generational relationships – some of them will be discussed on this site. A large number of early clients, a substantial portion of them Jewish, came from the East End of London.